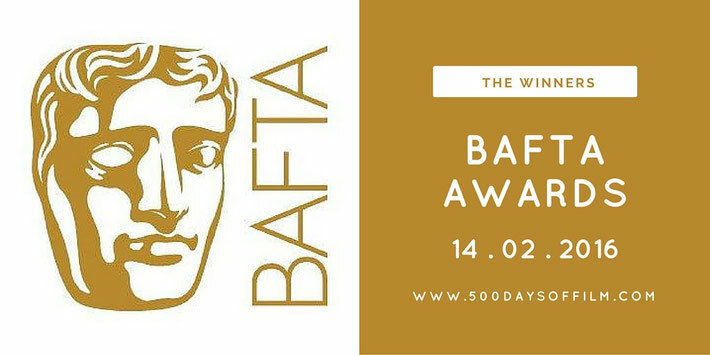 The Revenant was the overall winner of the 2016 BAFTAs - winning five awards including best film, best director, best actor and best cinematographer. Meanwhile, Mad Max won four awards. Room, The Big Short, The Hateful Eight, Bridge Of Spies, Spotlight, Star Wars: The Force Awakens and Steve Jobs came away with one award each. Asif Kapadia's Amy won best documentary and Inside Out took the award for best animated film. Star Wars: The Force Awakens won the BAFTA for Special Visual Effects and John Boyega (Finn) won the EE Rising Star Award. Brooklyn won the BAFTA for Outstanding British Film.